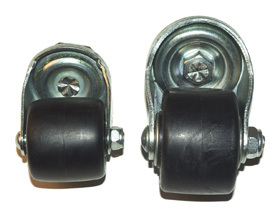 Greater weight capacities than standard Auto Dolly sets: 10,000 lbs vs 6,000 lbs. The larger diameter wheels also handle expansion joints better than the smaller ones. It is available as a set of 4, a set of 8 and a set of 16. Holds 10,000 lbs. vs. 6,000 lbs. It takes less force to get things moving and keep them moving. 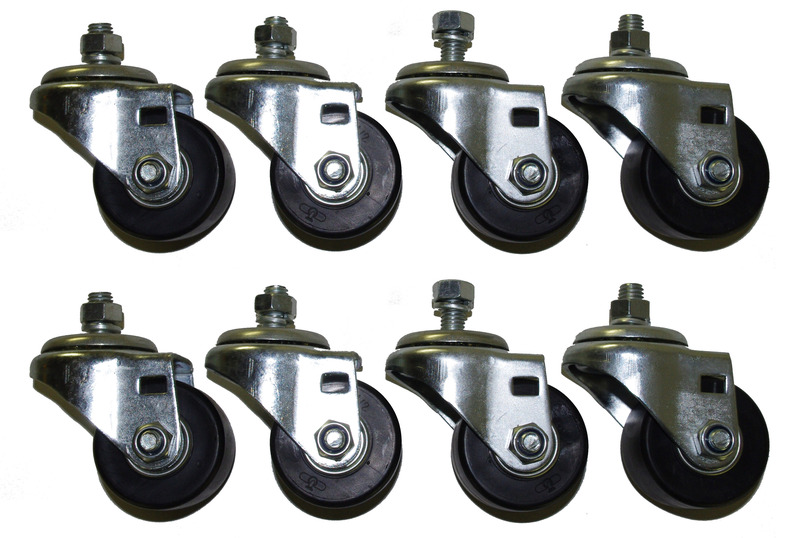 The Heavy Duty casters share the Standard casters' same non-marring polyolefin material that won't mark-up or peel your floor like steel wheels will. 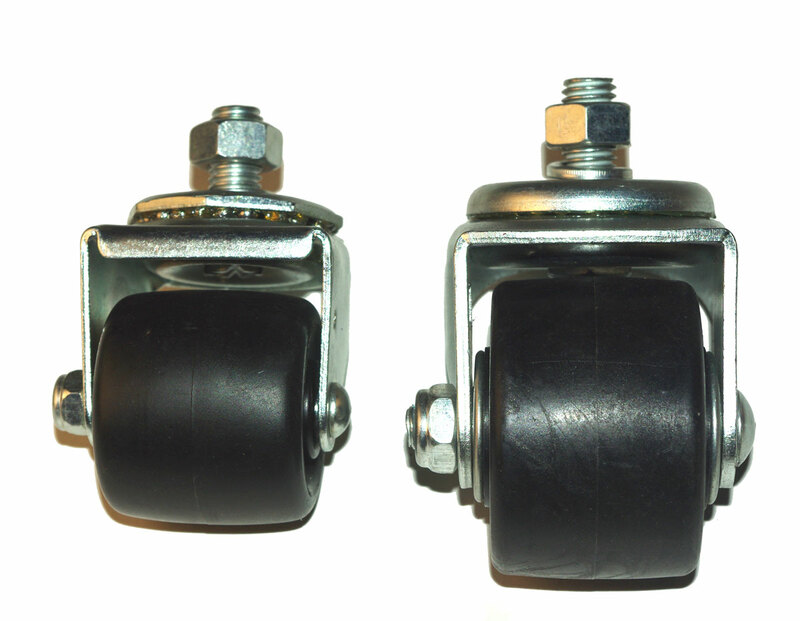 For those who have purchased the Standard Auto Dolly and now find that they need the higher weight capacities and easier rolling of the Heavy Duty Auto Dolly, we now have available a Caster Upgrade Kit. 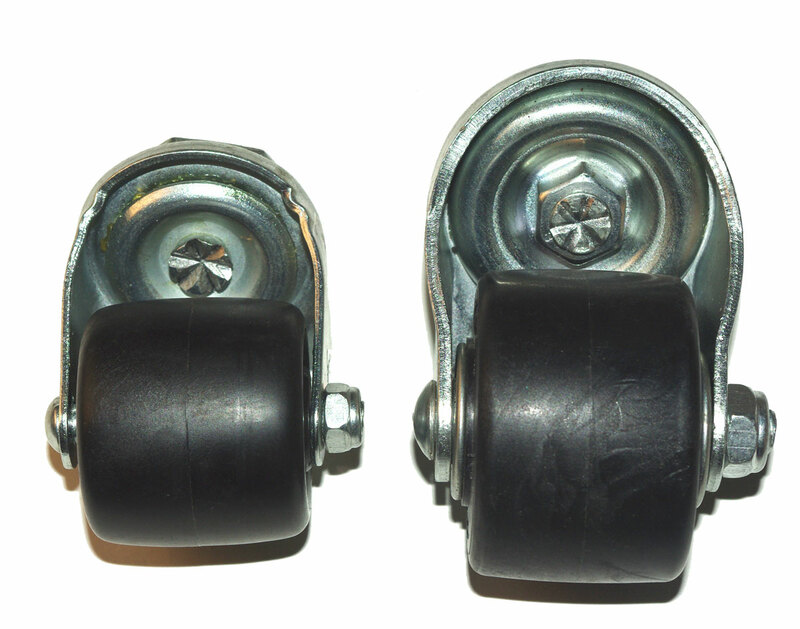 These are the same three bearing, non-marring polyurethane casters found on the Heavy Duty Auto Dolly. Simply remove your original standard casters and bolt these on. 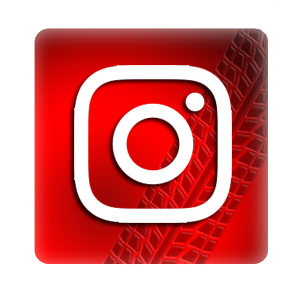 Available as a Set of 4 (for upgrading a single Auto Dolly), Set of 8 (upgrades a pair), or a Set of 16 (upgrade an entire set of 4).